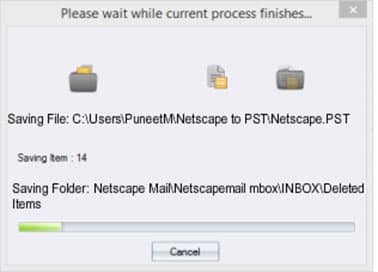 Netscape is the cross platform email client which supports IMAP, STMP and POP3. With advancement in the technology and change in time, the use of Netscape has now faded away. In fact, in recent years, this application has been taken over by other email platforms like MS Outlook. Till date, Netscape supports the older versions so that user can anytime download the version and use it without any technical failure. But, due to the availability of other and much capable emailing platforms like MS Outlook, most professionals have started opting for Outlook and abandoning Netscape. However, a lot need to be taken into consideration by the users who are using Netscape email application. 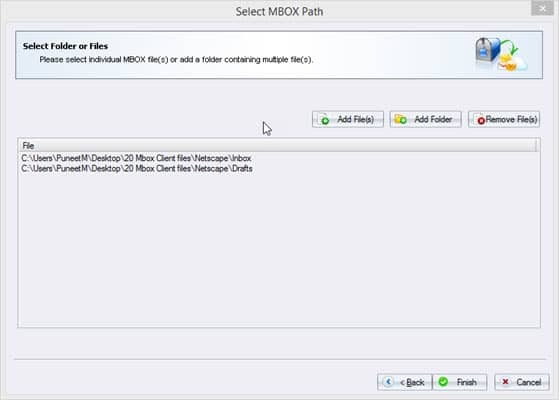 The Netscape perfectly supports MBOX formats and in case if a user decides to move to Outlook, then assistance from a third-party MBOX to PST converter is must. 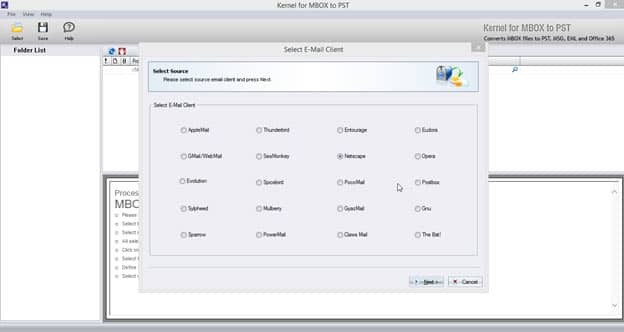 Launch Kernel for MBOX to PST tool. Select ‘Netscape’ from the MBOX clients presented in the new window. 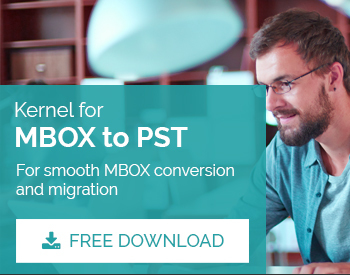 Click ‘Next’ to proceed for next step in MBOX to PST conversion. In next window, select and add the concerned files to be converted into Outlook PST format. To add the files, click ‘Add File(s)’ or ‘Add Folder(s)’. Once the concerned files are added, click ‘Finish’ button to explore the process. A new window will appear that displays the detailed structure of the Netscape MBOX files. To save them click ‘Save’ button. Once ‘Save’ icon is clicked, a new window appears with different conversion options. 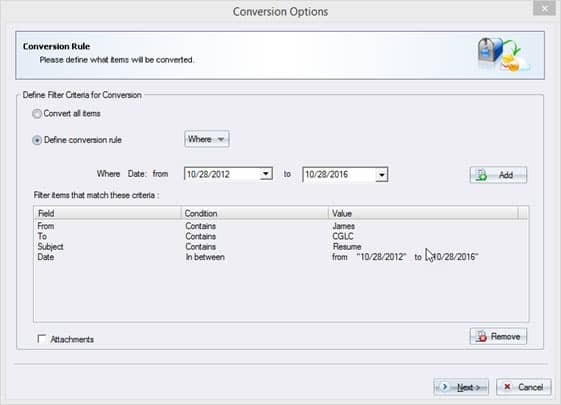 It includes conversion of all items by ‘Convert All Items’ and conversion of files on the basis of different criteria by ‘Define Conversion Rule’. 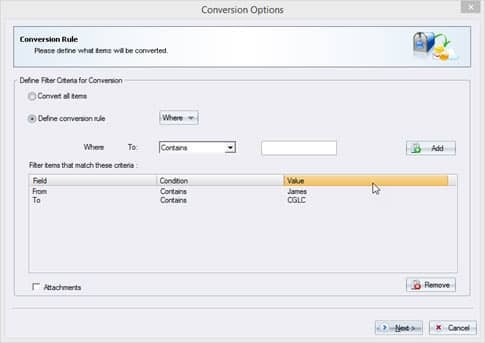 To convert Netscape MBOX files under special criterion fields, select ‘Define Conversion Rule’. ‘From’ field from ‘Where’ is selected using the drop-down menu. The relevant field value must be entered to recover the concerned files. Enter the entity in ‘From’ field to find the concerned ‘File’. ‘To’ field is equally important and must be filled alike ‘From’ field. Enter an entity in ‘To’ field. 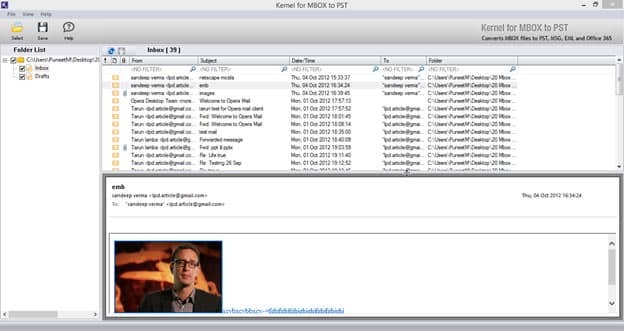 ‘Subject’ field of the MBOX to PST conversion is populated with keyword of subject line present in concerned emails. Mention the text in the subject line. In ‘Date’ field, enter the range in which the concerned MBOX files are expected to send/receive. Once filter criteria are finalized, click ‘Next’. In this step, the specific destination is chosen from different options, like: ‘Save in PST’, ‘Save in MSG’, ‘Save in EML’ and ‘Save in Office 365’. Click ‘Save in PST’ for the required MBOX to PST conversion. 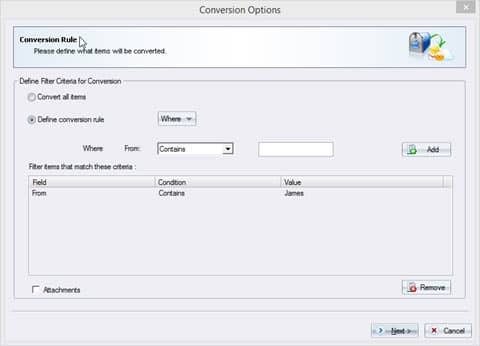 To create new PST file click ‘Create New PST File’ radio button and click ‘Save in Existing PST File’ to save in pre-existing PST file. After clicking on ‘Create New PST File’ provide the PST file path of the newly created PST file using ‘Browse’ button. 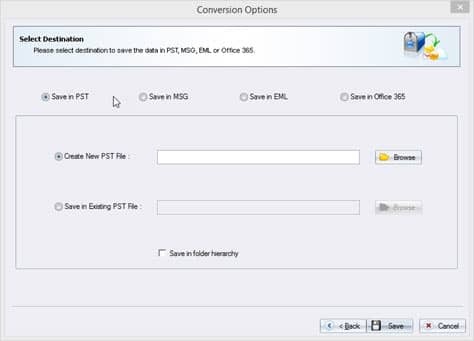 To save in pre-existing PST file click ‘Save in Existing PST File’ followed by providing the file path of the pre-existing PST file. 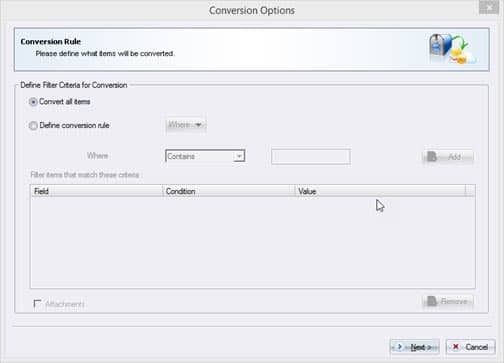 Proceed to initiate the conversion process by clicking ‘Save’ button. Once done, the successful mailbox migration message will be displayed on the screen.